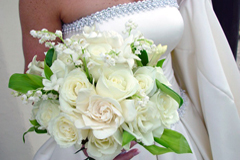 Wedding Flowers – Who Needs Them? An adorning accessory and a component many brides and grooms consider as essential for their once in a lifetime event are wedding flowers. Floral displays are the picture-perfect addition to compliment every aspect of the ritual, beginning with their strategic placement at the ceremony venue to the embellishing of the banquet hall. Arrangements can be placed just about anywhere that is fitting, which includes the alter where the vow exchanges occur, alongside the aisle chairs, the reception tables as decorative centerpieces, on the wedding cake, and a host of other areas found proper. And, most importantly, floral arrangements should also be designed for those who will be playing a principal role at the affair. 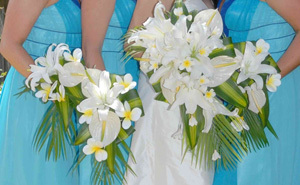 The above listed are more of the usual persons given consideration for beautifying with floral creations. But again, budget concerns may curtail distribution to all of those who you’d like to adorn, so the list is not a compelling one. 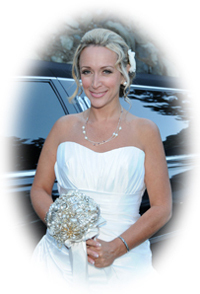 Therefore, while wedding flowers are undoubtedly a desired extravagance, whatever is decided in determining who needs them, it is basically a personal judgment of the marriage aspirants based on what fits best with the wedding plans. 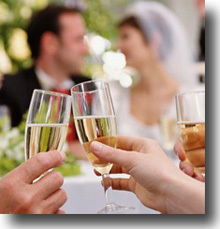 For more wedding tips and ideas or help with planning an upcoming wedding in Lake Tahoe, visit our website.